Heavy-duty 2018-2019 Wrangler control arms and accessories provide your Wrangler JL with the sturdy suspension support and geometry that you need to get your suspension lift working properly and giving the stability and strength required for articulating over rough ground. 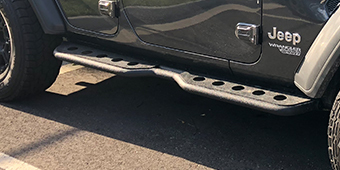 Built tougher than the stock control arms, these 2018-2019 Wrangler suspension & bushing components require some skill to install, but are made so strong that some of them are covered by a limited lifetime warranty. Depending on your exact situation, you can get front control arms, rear control arms, or full control arm sets that upgrade both front and rear, so that you can match your purchase up with the needs of your specific suspension project. 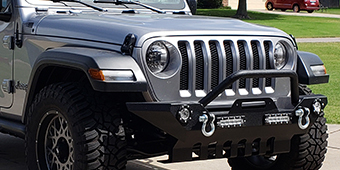 Companies like Rough Country and JKS also make 2018-2019 Wrangler control arm accessories such as geometry correction brackets or cam bolt kits.